If anything is clear from this experiment, it’s that I need a hobby. 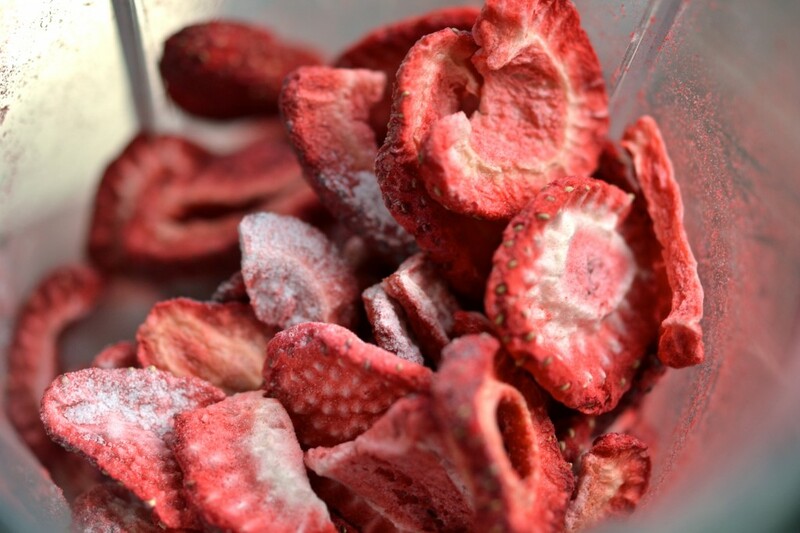 For the 4-1-1 about this recipe, visit my friend Lisa’s blog, Gluten-Free Canteen. Lisa & I did it together. Our recipes are a bit different, since we’re a bit different. Mine has more sugar, I think, and some different amounts of leavening and a few other varieties in proportions. I’d blame it all on her, but imagine my surprise when I learned halfway through that Lisa doesn’t even like cereal. I think my enthusiasm for the stuff got the best of us both. And I used a commercial blend, but Lisa blended her own. Be sure to check out her recipe. Blend it ’till it looks like this. Add it together with a bunch of stuff. I really can’t answer substitution questions, I’m afraid. I made 6 different formulations of the recipe before I came up with this one, and I’m sticking with it. Feel free to experiment, though! 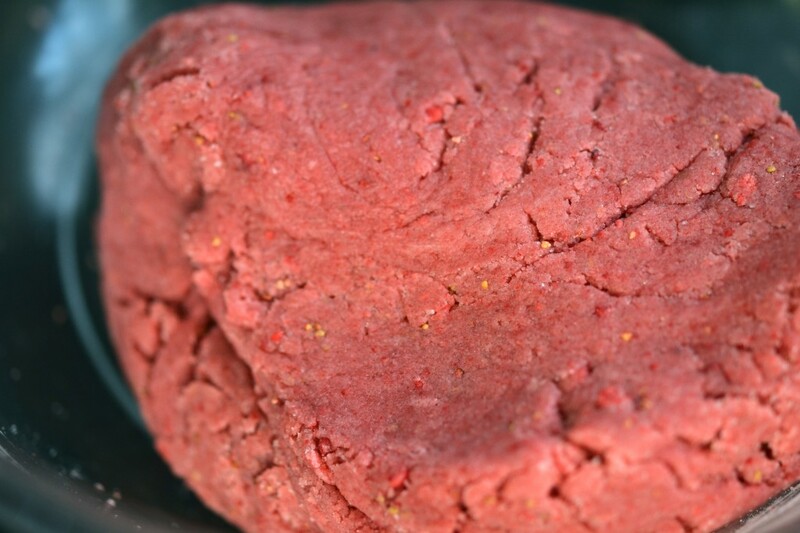 Here’s what the dough looks like when it’s strawberry. This is banana. It’s more moist. So I added a couple tablespoons of confectioner’s sugar to help dry it out a bit. The I used a large plain pastry tip to cut out rounds. Then pressed them through to release them. 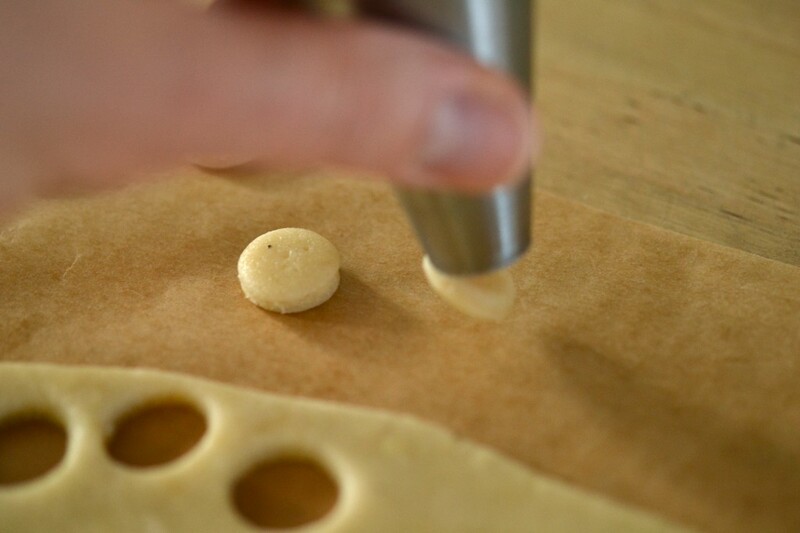 A #2 pastry tip was the right size for the hole in the center. I also used a toothpick sometimes, since these guys are pretty small. The flavor possibilities are endless. I made blueberry, banana and strawberry. My favorite was the blueberry. The moisture balance in the dough was perfect, and the taste was subtle and sweet. 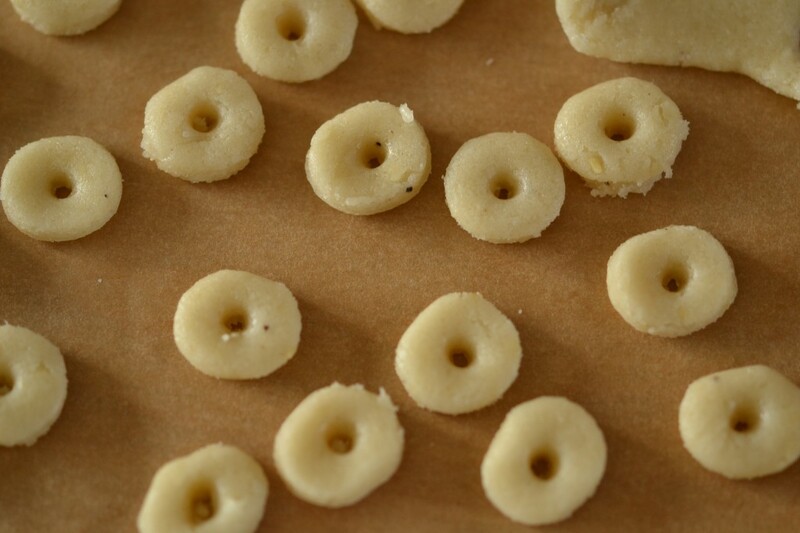 Preheat your oven to 325 degrees F. Line a rimmed baking sheet with parchment paper and set it aside. 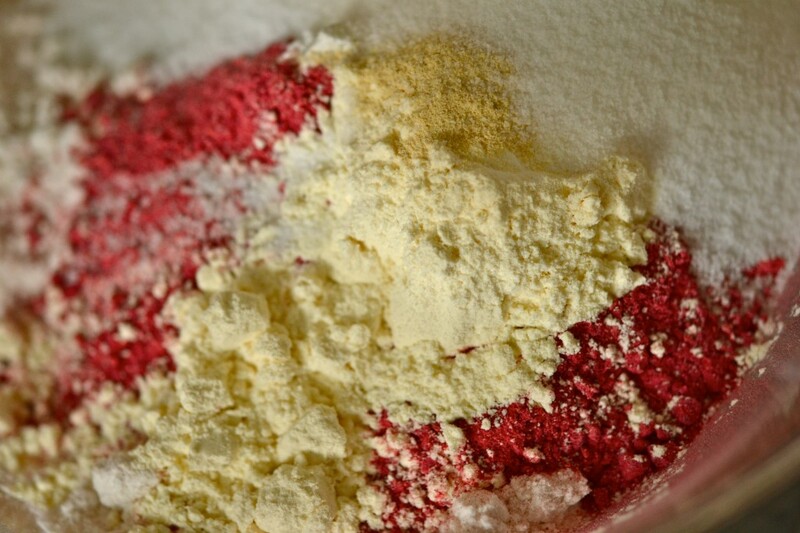 In a large bowl, place the flour, xanthan gum, cornstarch, buttermilk blend, ground fruit, salt, baking powder, baking soda, lemon powder, granulated sugar and confectioner’s sugar, and whisk to combine well. Add the melted vegetable shortening (no need to let it cool after melting in the microwave) and cream or milk, and mix to combine. The dough should come together. 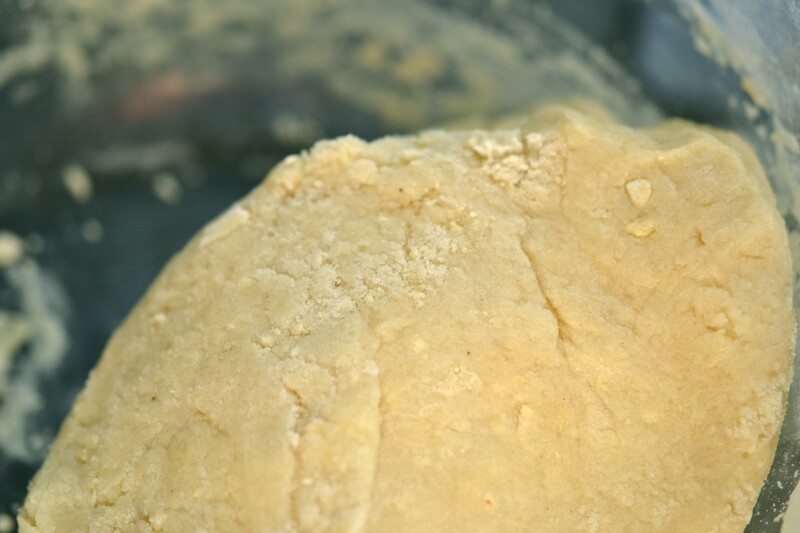 Once it begins to come together, knead it with your hands until it forms a smooth but stiff dough. Some flavors will be drier than others. Blueberry is quite dry, but banana is rather wet. If the dough seems like it’s too soft dust with confectioner’s sugar by the tablespoon and knead it in to absorb some moisture. Place the dough between two pieces of unbleached parchment paper, and roll until the dough is no less than 1/4 inch thick. 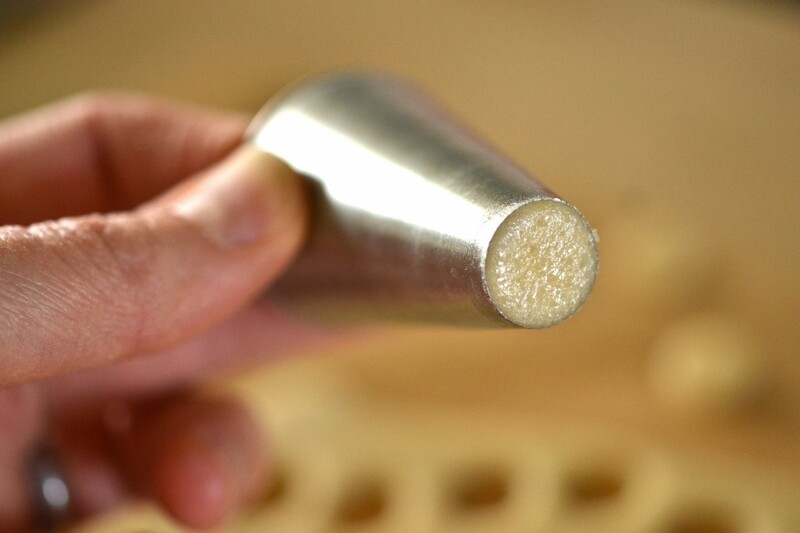 With the small end of a large, plain piping tip, cut rounds out of the dough (see photo). 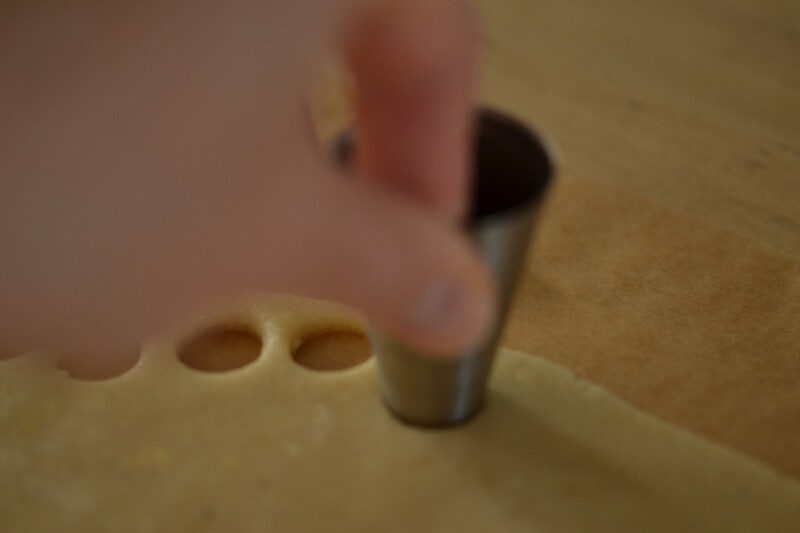 Press the round out of the tip through the top onto the prepared baking sheet. Repeat with the rest of the dough, and place the rounds of dough less than an inch apart on the baking sheet (they won’t spread during baking). Gather scraps and reroll as necessary. 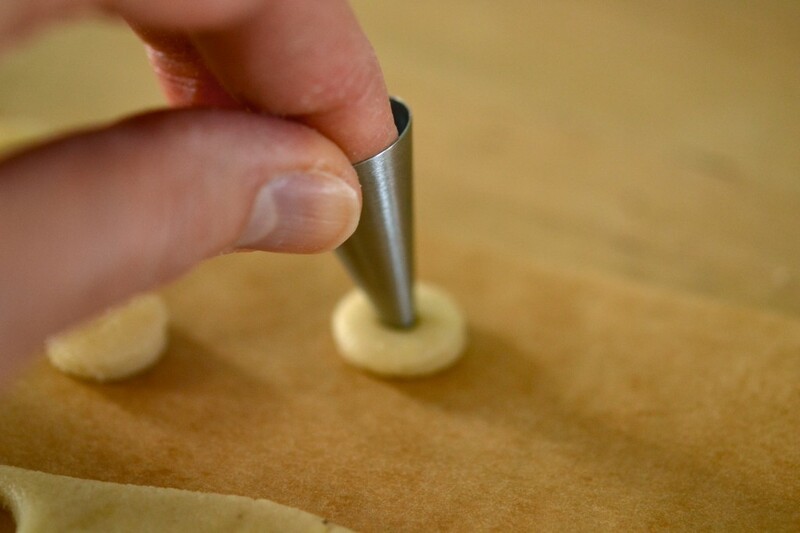 With either a toothpick or a plain #2 piping tip, press a small hole in the center of each round of dough. If using a toothpick, move it in a tight circular motion to widen the hole or it will seal up during baking. 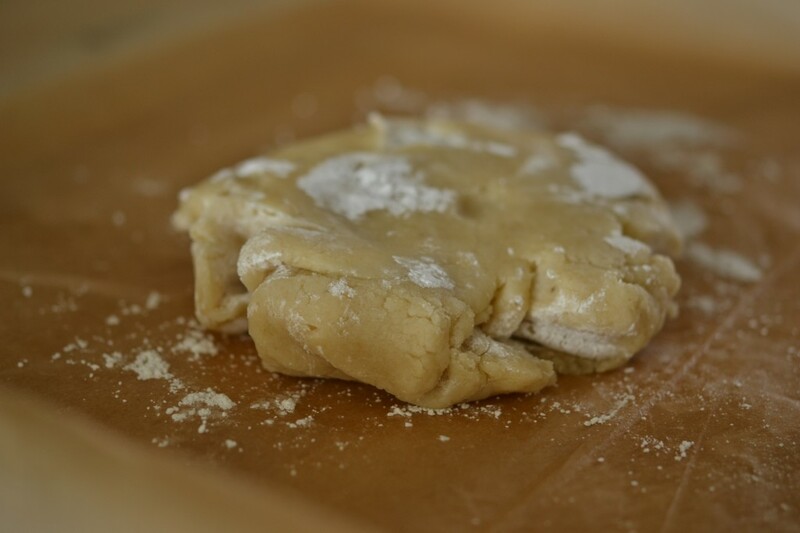 Place the baking sheet in the center of the preheated oven, and bake for 4 minutes. Remove from the oven and allow to cool slightly. If any of the centers have closed during baking, gently prod them back open with a toothpick. Turn the oven temperature down to 250 degrees F, and place the baking sheet back in the center of the oven to dry out (and become crisp) for about 7 minutes. Remove from the oven and allow to cool completely on the baking sheet. The loops will crisp further as they cool. I haven’t tested this recipe with any substitutions. 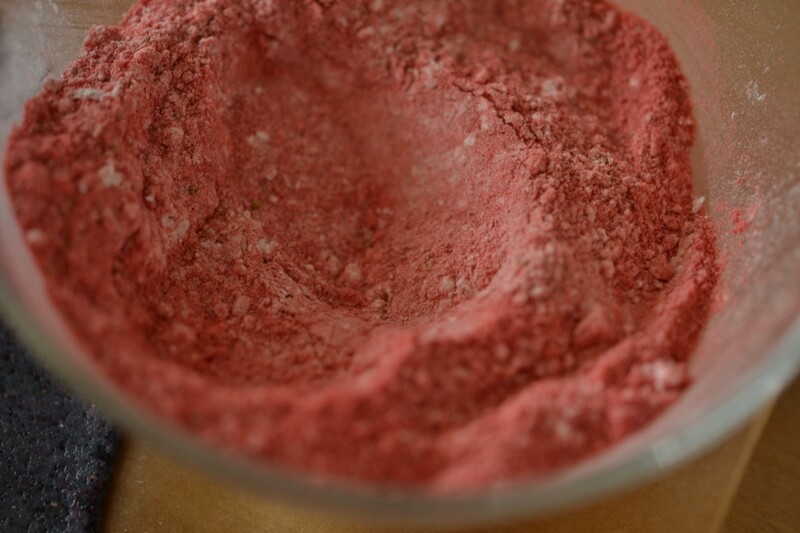 I have tested it many many different ways, and the cornstarch is truly essential to a good result. P.S. 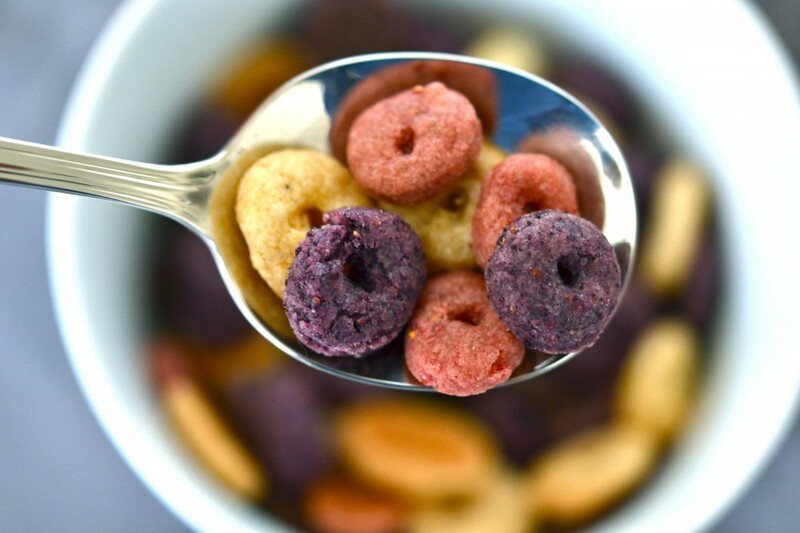 Not a fan of fruity cereal? Try my gluten-free Cinnamon Toast Crunch. Who could resist these guys? Your ambition, ingenuity and patience never cease to amaze me! These are so impressive! Froot Loops were my daughter’s fav. cereal, and her classmates sometimes have them as a snack. I know that she would love to have them again, I bet if she were to try these, she would be hooked! This looks like a project for a “snowy” or “rainy” day, thanks!! yes, I get the same treatment – mom, you parted the dead sea, now can you turn the moon into cotton candy while playing the macarena backwards in swahili? great idea. i was diagnosed last september and still can´t stop to look food blogs in my spare time. I feel obligated to again offer my services as a live-in-well-fed-very-happy babysitter. Fruit Loops? They weren’t allowed in my house (As per what Lisa mentioned, I’ll bet my parents ate them when I wasn’t home, but enough of that), but I found them when I got to college. Just like Cinnamon Toast Crunch. And then I got diagnosed and all these new friends I had just made were gone in the blink of an eye. I like that your loops will be distinctly different flavors, rather than what I think the good folks at the big cereal company do and just different colors of sugar rings. I just recently acquired a vacuum sealer for wide mouth jars. I think this weekend, if the BB comes in in time from Amazon, I am going to make these and their cousins the CTC guys and put a serving (half a cup? three quarters?) into a jar and seal it. Then breakfast on the go is a snap – grab a jar, a bottle of your favorite cereal pour over and I’ll bet even the bus driver will be jealous. Thank you. A thousand million times, thank you. I am happily assimilated. Resistance IS futile. So, whats next (after the cookbook, of course)? My vote is for tweaking something else we all loved when we were kids but have forgotten. Ooh, or figuring out a way to make mini-pot-pies like Marie Callendar does them, all microwaveable from the freezer and tasty. (I miss you, my gluten-rich friends). I was trying to remember if the “real” version had different flavors, or just different colors. I can’t remember! I love those CTC guys. I hope your Better Batter makes it in time. The CTC will seem like a walk in park compared to these, I’m afraid. Cutting out all the little circles gets old… But the end result is pretty worth it. There’s a recipe for Chicken Pot Pie in my (first) cookbook, and there will be a recipe for “Quick Chicken Pot Pie” in the next one. I just made the “Quick” version a couple nights ago, and froze one of them. I defrosted it tonight, and it was perfect. Freezes beautifully. Same bat time, same bat channel! I’m here… glued to my monitor. With my Super cape and everything. Hmm. I guess my big one was trying to figure out how to make single servings I could pop in the microwave at work. I wonder if I made pupusa style with the filling if it would work. So many things to ponder on. Also, as a not so side note, according to the straight dope, who says that they got this straight from the toucan guys, the loops in the box are all the same flavor. Good to know, Jenny! So basically we’ve got the Toucan right where we want him… Beat! My daughter wants to hug you! I am quite impressed, as always. You set the bar very high!!! That’s so great to hear – that your daughter is excited! My son has never tried any of the gluten-containing versions of these foods (he’s been GF since around 1 year old), but he sees the other kids in school eating them, so he’s really happy to be able to say that he’s had them, too. That’s a big deal. Thank you for telling me. :) Anything else your daughter is missing? You continue to amaze me, Nicole. You totally rock! I know you don’t do this, but it would be really interesting to see a nutrition label for these little guys versus the real thing! You know, I am sure, that I don’t have the patience for GF cereal, but I am so impressed that you do! 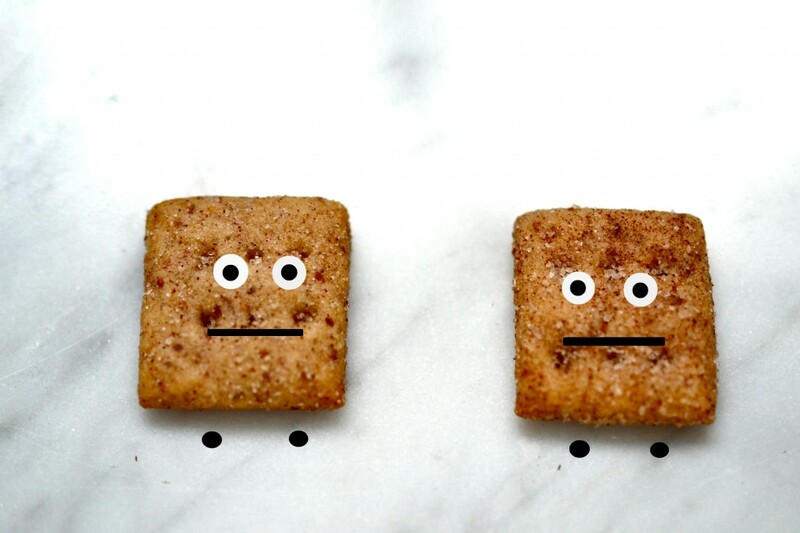 The Cinnamon Toast Crunch guys have some appeal, but only if they come out of the over with the cutie little faces on them! Seriously, the Cinnamon Toast Crunch guys are so good I could eat those every single day and never get tired of them. These little loops are a close second for me. I foresee your breaking down and making those at some point. Resistance is futile! I think we are a little like Ethel and Lucy with those piping tip cut-outs. Your Loops look great. I think we can consider this a extra extra tested recipe. Ready for Cap’n Crunch? Amen, Lisa! Extra-extra tested, indeed. And then some. I don’t know if I’ve ever even had Cap’n Crunch! Not a fan, but this is ambitious! Great job!